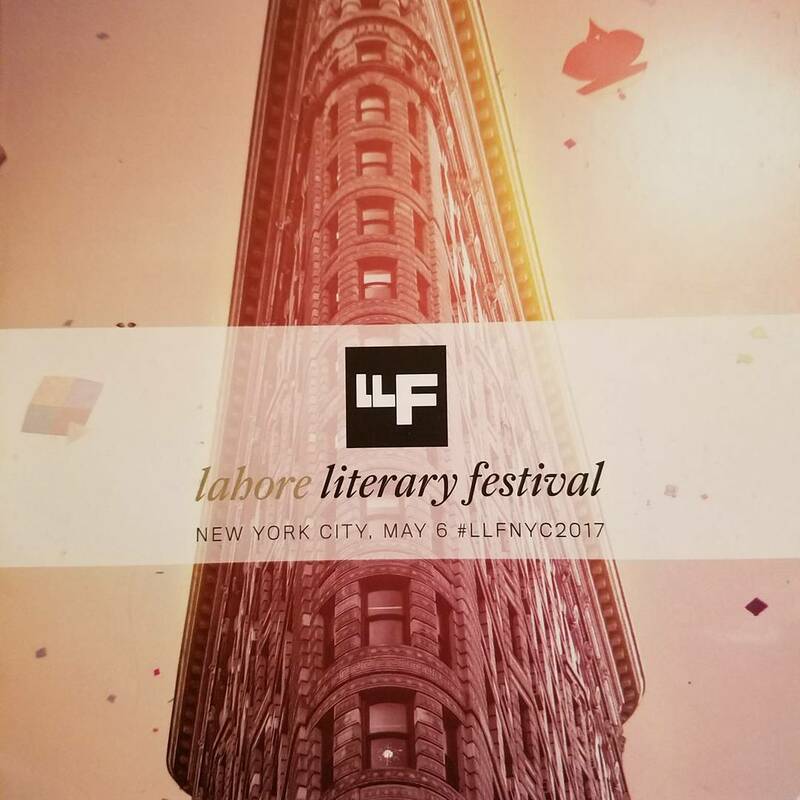 At the Lahore Literary Festival held at the Asia Society, New York on May 6, Pakistani journalist and author Raza Rumi led a minute of silence to mourn the lynching of student Mashal Khan accused of blasphemy in Northwest Pakistan. This, just after celebrated Pakistani singer Tahira Syed’s soulful rendering of Sufi and Kafi poetry, was a rude jolt back to present times. And for me, a sad reminder that lynching by vigilante mobs now occurs with alarming frequency in Hindu-majority India as well. The Lahore Literary Festival, which traveled to New York just weeks after its Lahore edition survived (yet another) bomb attack, would have been the perfect forum to examine the forces recasting South Asian countries into majoritarian states. Instead, it was an escape into the past, as Pakistani writers, artists and musicians paid homage to a time when religious plurality created new forms of literary and artistic expression. We got a glimpse of the work of artist Shahzia Sikander (photo above) whose repertoire includes the multimedia production disruption as rapture, permanently installed in the South Asia galleries of the Philadelphia Museum of Art. Sikander’s work is an adaptation of the 17th-century Sufi manuscript, Gulshan-e-ishq (Garden of Love). Rich with verses and illustrations, this is Muslim Sufi retelling of a Hindu tale of star-crossed lovers who unite against all odds. Lovers’ union, in Indian subcontinent’s Bhakti and Sufi traditions, is a metaphor for oneness with the divine. In such stories it’s not unusual for the woman to be the protagonist, battling convention and yearning for her lover. She is “Radha, Heer or Sohni,” said Sikander’s musical collaborator Ali Sethi (seen in the Mira Nair film The Reluctant Fundamentalist). In other words, her religious identity is deliberately rendered ambiguous. What I saw at the festival was a heartfelt celebration of Lahore’s cultural heritage. Discussions also often meandered into the topic of their country’s present and future given the Pakistani intellectuals and artists present. After all, participants included veteran journalist Ahmed Rashid and acclaimed writers of fiction Mohammed Hanif and Nadeem Aslam. Lahore-based Rashid, best-known for his book Taliban, described Pakistan’s challenge with fake news. “All sorts of areas are off limits to the media in Pakistan, whether it is Baluchistan or the nuclear program. But that media can fight back. How do you fight a flood of tweets that are made up?” he asked. Clearly, a question that resonated with the few Americans in attendance. Still, does Donald Trump have to the centerpiece of every discussion involving liberal American commentators? 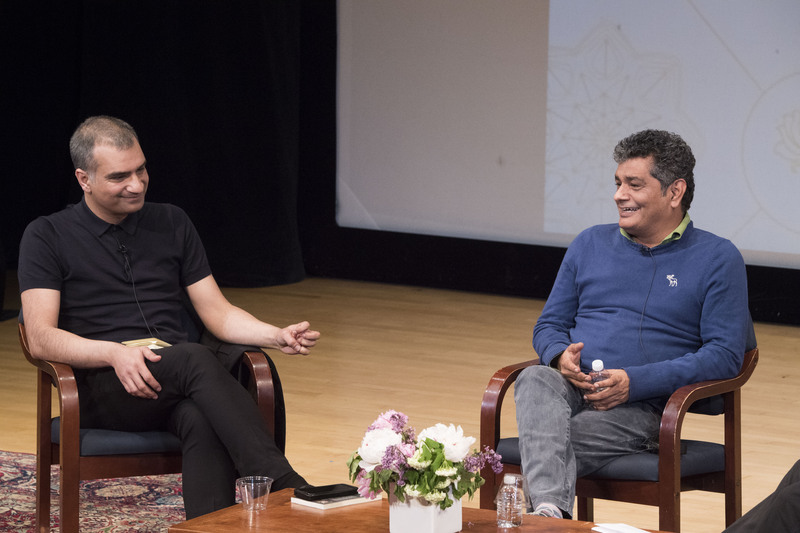 Dwight Garner, a literary critic for the New York Times, began his conversation with Hanif and Aslam, neither of who is American, by asking where they were when they heard Donald Trump had become the American President. “When you come from the margins, the post-Trump world is the pre-Trump world,” said the British-Pakistani writer Aslam. “You know where Trump was born? In Waziristan, Pakistan,” said Hanif, taking a dig at the manner in which rumors and conspiracies go viral in Pakistan over WhatsApp. Hanif’s irreverence, familiar to anyone who has read A Case of Exploding Mangoes or Our Lady of Alice Bhatti was the perfect foil for Aslam’s intensity. Aslam’s fiction like Maps for Lost Lovers and The Golden Legend tackles harrowing topics like honor killings and blasphemy. Disappointingly, Garner merely engaged them in personal chitchat about writing routines and quirks. The shadow of Donald Trump loomed even larger in the discussion on the global rise of strongmen. Kashmiri journalist and a New York Times editor, Basharat Peer, made an important point that could have been explored further: “The Hindu nationalists of India and the Muslim nationalists of Turkey are the biggest beneficiaries of globalization, not its losers.” Yet, white working class’s rage against globalization dominated the discussion. The space for such reflections is shrinking on the Indian subcontinent. The notion of religious identity has been narrowing in Pakistan over time, and now India, it seems, is determined to catch up. India’s gigantic film industry is a reliable gauge of its popular culture. So it’s telling that these days, Pakistani artistes are banned from working in Indian movies and powerful Bollywood celebrities have to publicly apologize for such collaborations. That perhaps explains why I left the Lahore Literary Festival feeling grateful, despite its shortcomings. In his travelogue on India’s capital (and my hometown), Delhi By Heart: Impressions of a Pakistani Traveler, Raza Rumi had asked a poignant question: why does the capital of another country feel like home? In my far less profound exploration of the cultural capital of Pakistan this past weekend, I found myself asking a similar question: why do vignettes of another city bring back memories of home?